Kraft Foods has asked a US judge to stop Starbucks from cancelling its contract to distribute and sell Starbucks' packaged coffee. Kraft has sold Starbucks' packaged coffees to supermarkets and other retailers since 1998, but Starbucks said it would end the deal in March. 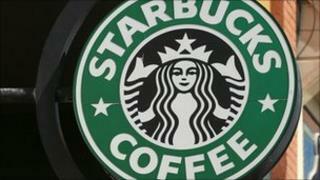 Starbucks called the food giant's move a "delaying tactic". Kraft had already filed last week for a legal review of Starbucks' decision, which it said would go on separately. In its latest filing to the US District Court in New York, Kraft said it was seeking a preliminary injunction "to stop Starbucks from proceeding as if the agreement has been terminated, when, in fact, the contract is still in force." Kraft's lawyer, Marc Firestone, added that Starbucks was "proceeding with flagrant indifference to the terms of the contract and customary business practices". At the centre of the dispute is a substantial amount of revenue for both US firms. Kraft says that over the past 12 years "its considerable expertise and resources" have helped transform annual sales of Starbucks' packaged coffees from $50m (£32m) to $500m. It added: "In its zeal to take over the business Kraft has built, Starbucks has simply declared termination as a fait accompli." Starbucks counters that Kraft has breached the terms of the contract, including not always meeting minimum advertising budgets. The coffee company said: "Starbucks will vigorously oppose any action on Kraft's part that would prevent Starbucks from rightfully assuming full control of our brand and business." Starbucks first announced last month that it would be ending the contract with Kraft. Its range of packaged coffee includes bags of whole and ground beans, and Starbucks' more recent Via instant coffee.